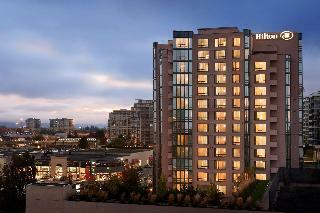 The hotel is in a very convenient location with easy access to local Vancouver attractions and businesses. Just outside the door in Riverport, there is the entertainment complex Silvercity, IMAX, swimming, ice rinks, bowling, a gym, pubs, restaurants, and a farmer's market (1 km), a shopping plaza (1.2 km) and 2 casinos 20-25 minutes away. There is an outlet shopping centre 20 minutes away. The bus and railway station are around 20 minutes away by car. Vancouver International Airport is also within easy reach. The hotel offers a free 24-hour airport shuttle. The complimentary high-speed Internet access keeps guests connected. Free garage parking is offered. A free hot buffet breakfast is served each morning in the breakfast room. The air-conditioned establishment comprises 105 guest rooms and welcomes guests in a lobby with 24-hour reception and check-out service. Further facilities on offer to guests include a hotel safe, lift access, an auditorium, a TV lounge, a pub, conference facilities and a laundry service. There are 11 different room types, all with extra large space and fully equipped with a microwave, mini fridge, and coffee/tea stations. The Spa rooms, Junior Suites come with a queen-size sofa bed and an extra flat screen TV. Full kitchen suites are available as well, with a cooker and fridge. The en suite bathrooms are fitted with a shower, bath and hairdryer. Rooms with double or king-size beds are available. The rooms are provided with a direct dial telephone, satellite/cable TV, a radio, Internet access, a washing machine, ironing set and individually regulated air conditioning and heating. During their stay, clients can enjoy a swim in the heated indoor swimming pool, relax in the hot tub or work out in the gym. Sun loungers are laid out for use. The hotel offers bowling and entertainment programmes for adults and children (all for a fee). There are several golf courses within 5 minutes' drive (fees apply). City centre - 3.000 Km. Bus/Train station - 0.400 Km. Nearest Bus / Metro Stop - 0.400 Km. Golf course - 7.000 Km. Entertainment Area - 0.400 Km. Conveniently located in downtown Richmond, Canada, the Hilton Vancouver Airport hotel is just 20 minutes from downtown Vancouver, with a complimentary shuttle service to and from Vancouver International Airport. 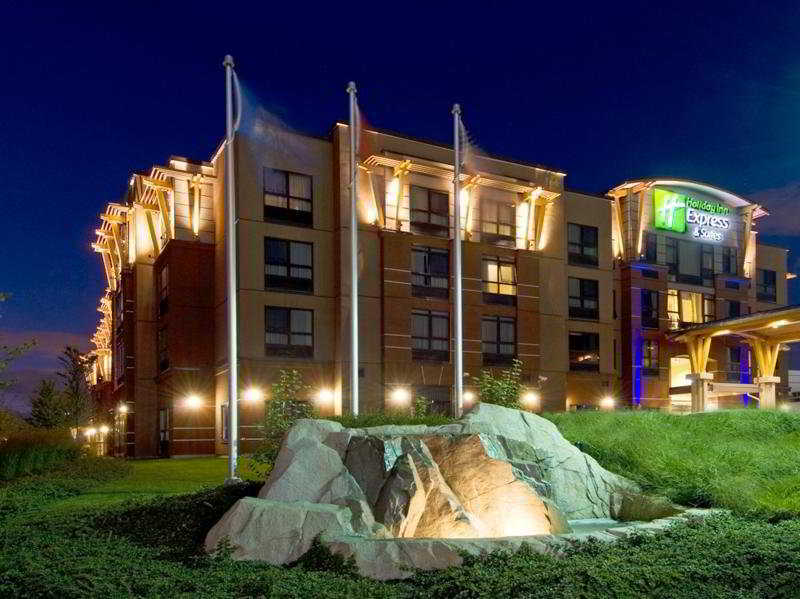 The hotel is a short walk from two major shopping centers, a variety of restaurants, Richmond Olympic Oval and the vibrant nightlife of Richmond, BC. With BC Place, Rogers Arena, Stanley Park and BC ferries accessible within 30 minutes and the Canada Line SkyTrain Express just minutes from the hotel, you'll enjoy access to a wealth of entertainment and recreation options. Get to work in the business center and stay in touch with complimentary WiFi in the lobby, lounge and restaurants. Hold an event in one of eight meeting rooms with a spacious function lobby for breakouts and lunchtime networking. Ease the stresses of the day in the heated rooftop pool or work out in the fully equipped hotel fitness center with indoor whirlpool. Enjoy a choice of dining options at this Richmond hotel with west coast cuisine at Carmichael's, and casual food and a delicious martini menu at Sax on Minoru. City centre - 0.100 Km. This hotel is located in the centre of Vancouver. 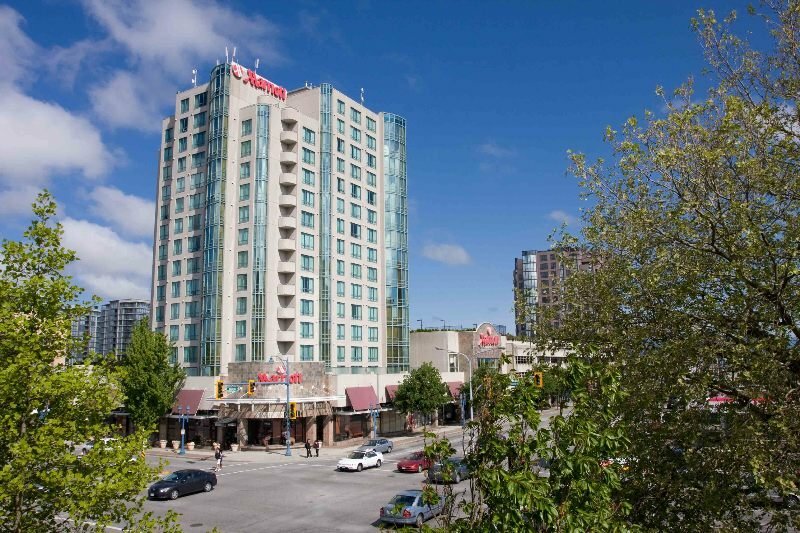 Various restaurants, public transport and Nanaimo train station are just a few minutes away from the hotel. A central bus station as well as various shopping opportunities are around 30 minutes from the hotel. The beach and the English bay lie around 15 minutes away and Grouse Mountain ski area lies around 45 minutes from the hotel. On arrival, guests are invited to unwind from the stress of city life. A garden surrounds the 3-storey hotel, which comprises a total of 66 rooms, including 2 suites. The air-conditioned building also includes a lobby with a currency exchange facility, a safe and a 24-hour reception desk. A hairdresser, a kiosk, public Internet access and WLAN access are to be found within the city hotel. A laundry service is also on offer as well as room services and a laundrette. The recently renovated rooms welcome all guests and offers a view of the central courtyard garden. The rooms each come with modern amenities, including an en suite bathroom, a hairdryer, a direct dial telephone, a radio, satellite/ cable TV, Internet access, a double bed, a terrace and carpeting. Individually adjustable air conditioning and heating is also standard in every room. The stylish and sophisticated Vancouver Airport Marriott Hotel is only a short 5-km complimentary airport shuttle ride from the Vancouver International Airport. The hotel's spacious and newly renovated guestrooms feature luxurious bedding, high-speed internet access and ergonomic desks as well as a 37-inch flat-screen TV and all the amenities guests may need to make their stay pleasant and productive. Dining options include sumptuous cuisine in The American Grille and casual eclectic fare at Lotus Land Lounge. The award-winning Best Western Plus Chateau Granville Hotel & Suites & Conference Centre has 90 spacious suites and 28 standard rooms, all designed with your comfort in mind. Each suite at our hotel in Vancouver, BC comes with a private balcony where guests can enjoy the views of Vancouverâ? ?s enchanting city lights. Every room is outfitted with free high-speed Internet, microwaves, mini-refrigerators, flat-panel televisions with HD channels and single-brew coffee makers. Our pet-friendly policy makes it easy to travel with the whole family. Our eco-friendly hotel invites guests to take advantage of our EV charging station, on-site dining and lounge, 24-hour front desk assistance and concierge services. Trying to stay fit while on the road? Enjoy our state-of-the-art fitness center during your stay with us. Guests staying at this Rider-FriendlyÂ® Vancouver hotel also have access to our business center and can reserve space in our conference center. With over 5,500 square feet of updated function space and four exceptional meeting rooms equipped with audio/visual equipment and natural daylight, our event spaces are ideally suited to your needs. The hotel is conveniently located in downtown Vancouver, and puts guests moments away from the city's vibrant neighborhoods, including the trendy Yaletown district, the famous shopping on Robson Street and the Granville Island Public Market. Theaters, galleries, museums and restaurants surround the hotel, and our location only three blocks from the Canada Line Subway system, provides quick, direct access to most of the city's attractions, as well as Vancouver International Airport. Business travelers will love being so close to the bustling financial district, while outdoorsmen flock to the nearby Stanley Park Seawall and Capilano Suspension Bridge. Kids will love visiting the Vancouver Aquarium, Science World and the Macmillan Planetarium. Book your room today, and visit the heart of downtown Vancouver! Bus/Train station - 0.850 Km. Golf course - 16.000 Km. Ski slopes - 14.000 Km. 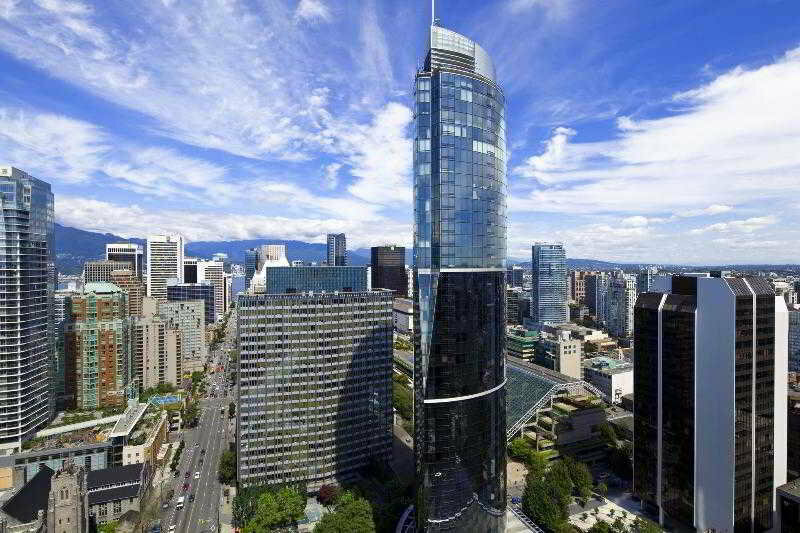 The trendy Robson Street is not far from this property situated in the heart of Vancouver. Links to the public transport network can be found next to the building, while a broad spectrum of restaurants, bars, art galleries, and theatres are all located in the immediate vicinity. The famous Granville Island is about 1 km from the establishment, with Stanley Park a little further away. This air-conditioned hotel welcomes guests in an elegant lobby area with a reception desk manned around the clock. Culinary options include a cafÃ©, a bar, and a cosy restaurant with highchairs available for children. Business guests can make use of the conference rooms, and in their leisure time, visitors are invited to take a swim in the indoor pool and relax in the Jacuzzi and steam bath. Ski slopes - 13.000 Km.